Barefoot In Blue Jeans: Bright Smiles with Smile Brilliant & a GIVEAWAY! 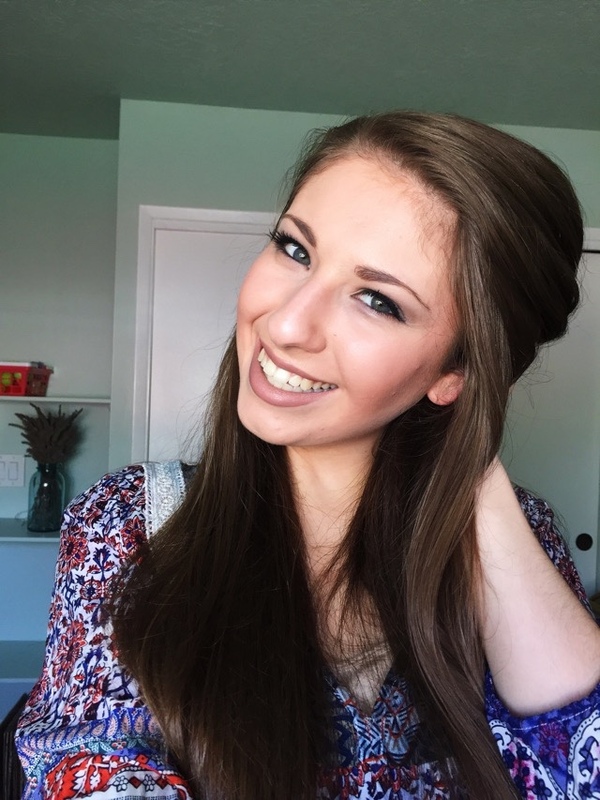 Bright Smiles with Smile Brilliant & a GIVEAWAY! We all dream of whiter, brighter smiles, don't we? Yes! Unfortunately, with the consumption of coffee, red wine, and other teeth-staining beverages and foods, it can make it hard to keep up a bright smile. Did you know that having whiter teeth can boost confidence levels? 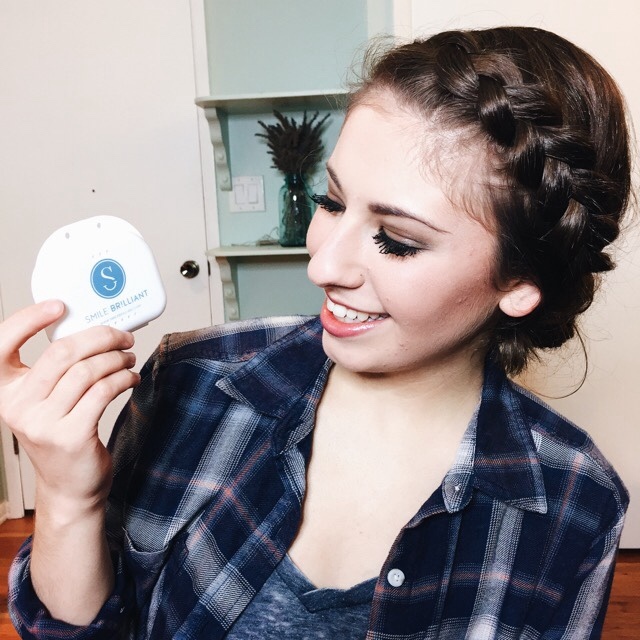 Well, with Smile Brilliant's teeth whitening system, it is easy to whiten, brighten, and boost your smile. Do you have a busy schedule, and you can't fit in the time for teeth whitening appointments? No problem. Do you not have the budget for professional teeth whitening at the dentist? No problem! Smile Brilliant's system is fast for busy people, you can do it within the comfort of your own home, and it is affordable! 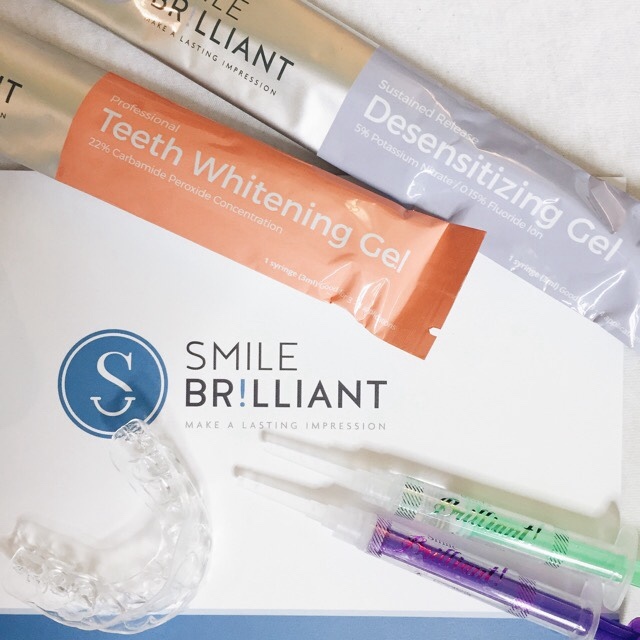 I had the chance to try Smile Brilliant's teeth whitening system, and I loved the end results. This is my Smile Brilliant experience. This post is sponsored by Smile Brilliant. All pictures and opinions are my own. 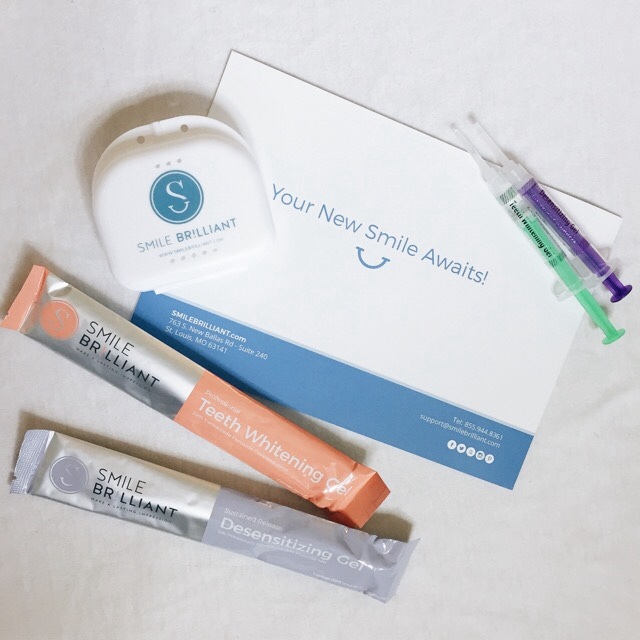 With Smile Brilliant's whitening system, you get to be your own dentist, and make your own impressions. It is so easy! The system comes with base and catalyst to make impressions for your trays. It is super important that you read through the directions before you begin your impressions. It will be helpful to know exactly what you are doing before jumping in. I felt super proud of my impressions, and thought they were beautiful (is that silly?) After I sent the impressions back to Smile Brilliant, I received my trays within a couple of weeks. It was rather quick! Ok, so I never had super yellow teeth. I was noticing that my teeth were looking dull, and my canines were yellowing. I took these pictures a week before I started the Smile Brilliant system. 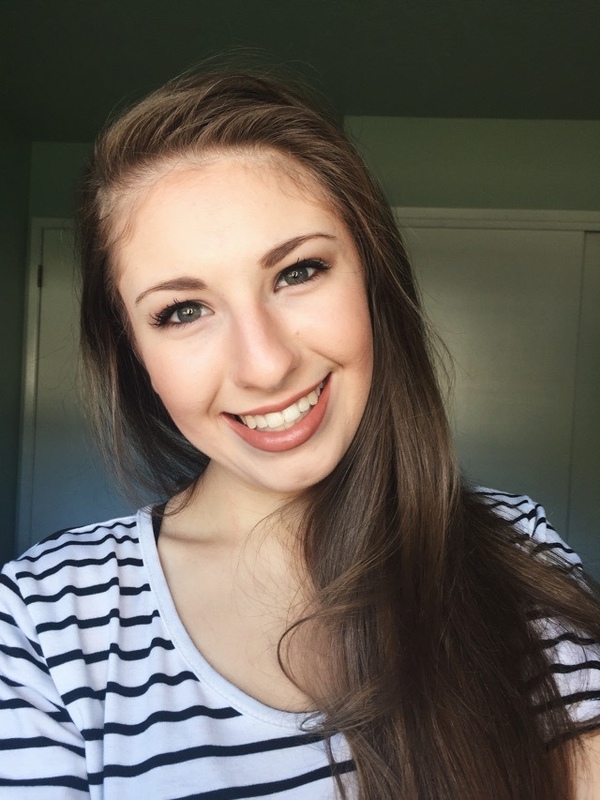 I started using the trays, and the teeth whitening gel, and I started seeing results with the third use! It works crazy fast! 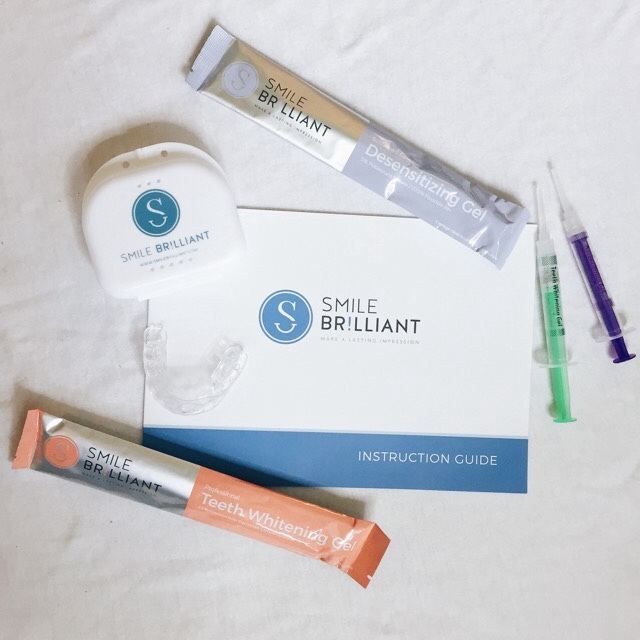 Before showing you my bright smile (thanks to Smile Brilliant), I have to tell you about the kit! 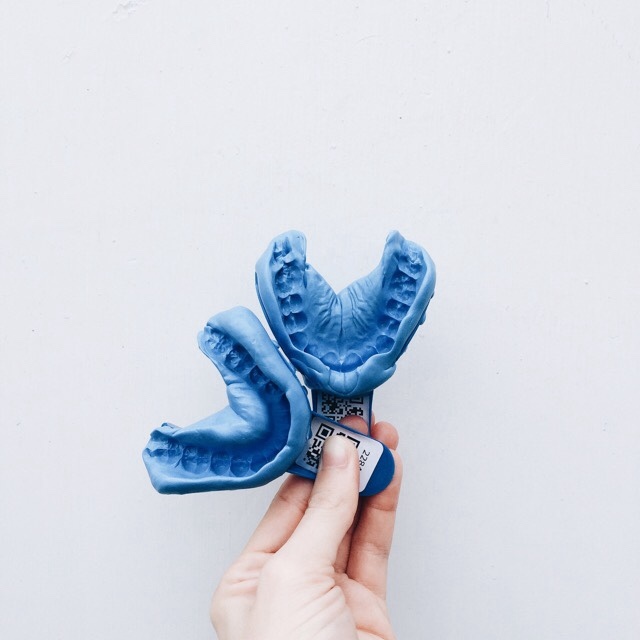 You already know that it comes with the base and catalyst for impressions, and then it comes with four teeth whitening gels, and four desensitizing gels. 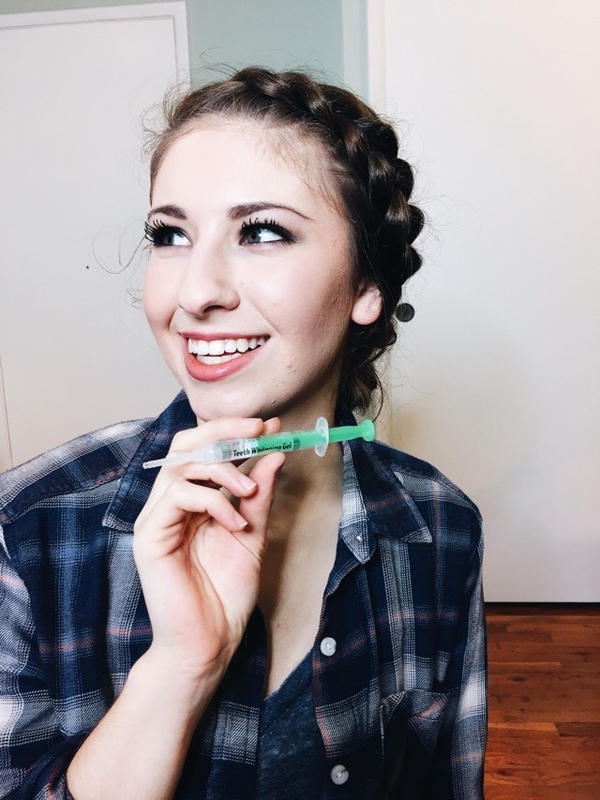 This kit will last you a few months, and that means you will have all the supplies you need to get that beautiful smile! If you achieve the smile you want before the gel syringes are gone, then you have extra to maintain your pearly whites. When you think about whitening your teeth, the next thought is usually, "hmmm, the whitening gel is probably going to taste bad." That isn't true with Smile Brilliant. It isn't a sour taste, it isn't a bitter taste, it is isn't a unpleasant taste when you some of the gel squishes out of the trays. Everything about this system is smooth, and easy. Are you ready to see the smile that Smile Brilliant helped me achieve? I took this with my nice ring light so you can see the amazing job that Smile Brilliant did for me. Do you notice that my teeth aren't dull anymore? Do you notice how my canines are whiter? Do you notice that I am showing them off a bit more than in the previous pictures? My smile is bigger, brighter, and whiter thanks to Smile Brilliant's system. Smile Brilliant's system did such a fabulous job on my teeth! Not only did I see positive results in my yellowed canines, but I saw my dulled teeth turn to sparkling, pearly whites! Don't go away yet! I have some goodies for you! 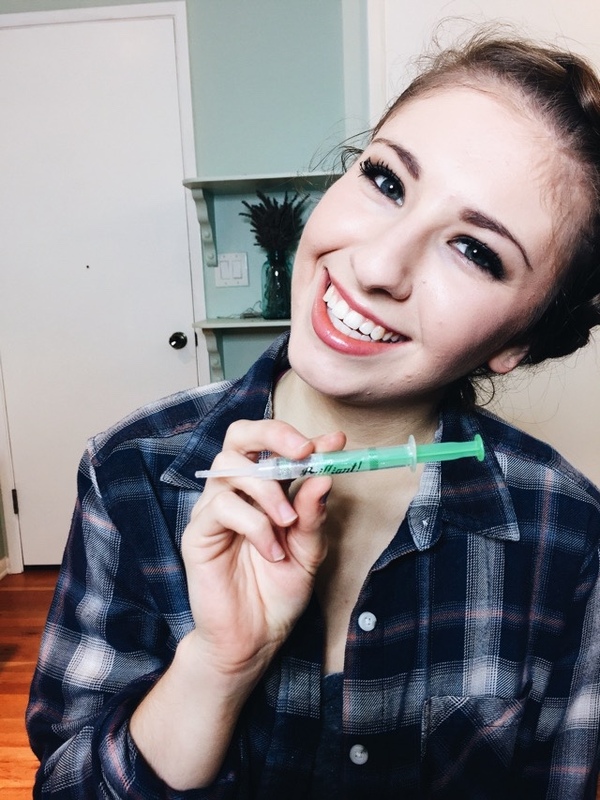 First, just for reading this post, I have a coupon code for you to get a discount on your own Smile Brilliant teeth whitening system! 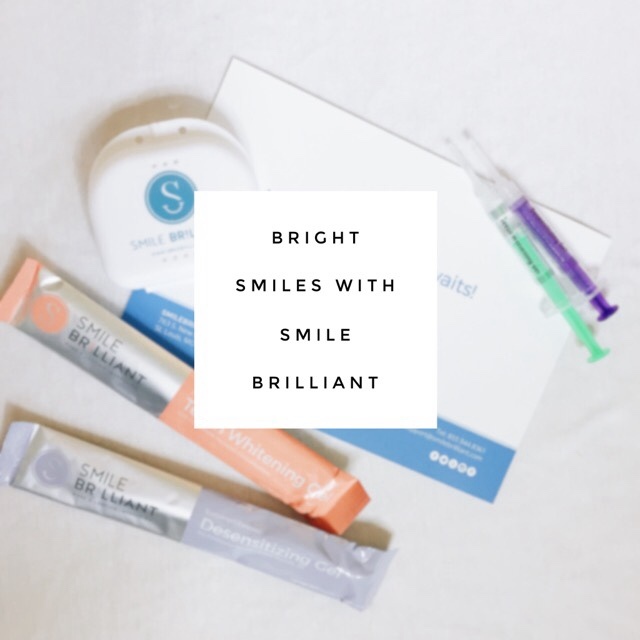 Visit Smile Brilliant, and at check out, use code: barefootbluejeans to get a discount! I have one more thing! I have a sweet giveaway going on. 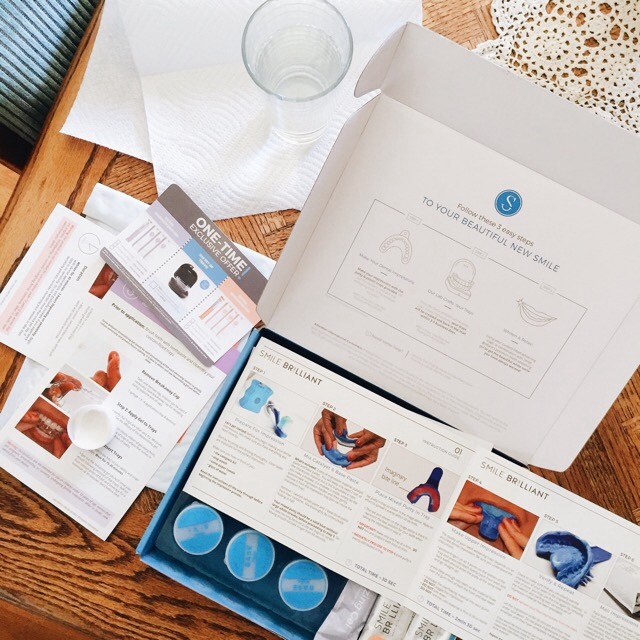 You could win your own teeth whitening system from Smile Brilliant. It is easy to enter, just visit and enter the giveaway here. I absolutely love the results that I got with Smile Brilliant. I am in love with my big, bright smile! This post was sponsored by Smile Brilliant. All photos and opinions are my own. You are looking so nice in these pics, This is a good product for teeth whitening, I hope It will work for my teeth. Buy online the best teeth whitening Crest Whitestrips at affordable price. It is so important to choose the right product for teeth which is best for teeth and effective, I am so conscious for my personality so I need a best product. You can buy online the best Professional Teeth Whitening at budget price. Thanks for sharing the valuable tips. Get these dental kits from Plastcareusa who offers the Plastic Dental Supplies Los Angeles CA at the best price. Seems you care your teeth in proper ways. Visit the best dental repair services to remove the false teeth for the Emergency Denture Care.